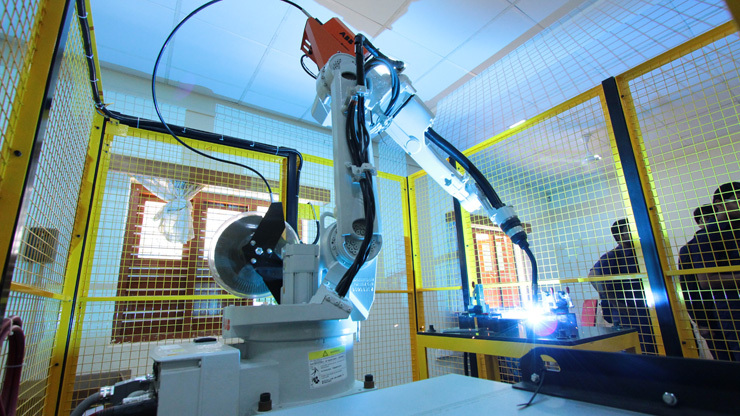 The Automation and Robotic Technology group focuses on areas such as human robot interaction, rehabilitation and assistive robotics, robotics for humanitarian aid in disaster affected areas and automation. We investigate the application of robotics in motor therapy procedures with the Amrita Institute of Medical Sciences (AIMS) in using robotics, haptics and motion tracking with an aim to design solutions which are affordable, robust and scalable. 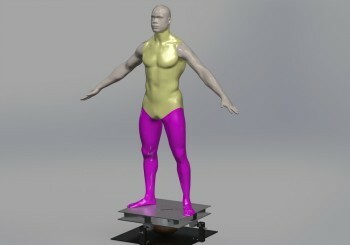 We investigate the application of robotics in motor therapy procedures for recovering motor control and motor capabilities in persons with impairment following diseases such as stroke, as well as to develop robotic and mechatronic technical aids for independent living for disabled and elderly people. 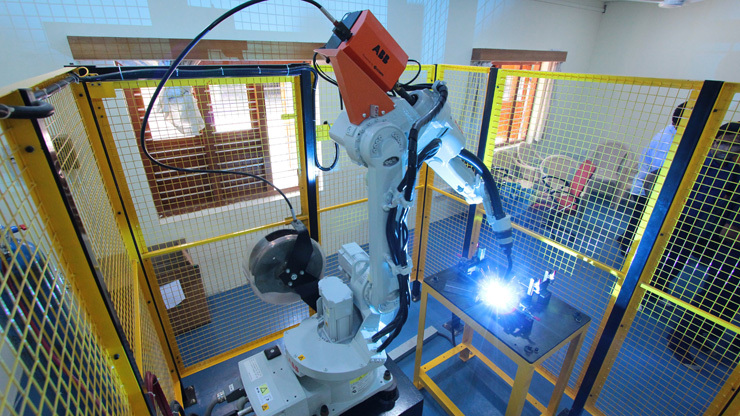 Robotics is an emerging field in India and the demand for skills is very high. Today’s students need to be properly equipped to pursue careers in science, technology, engineering, and mathematics. 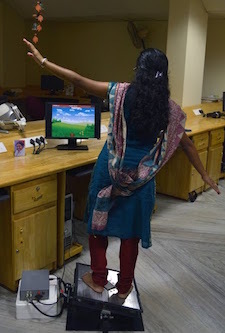 With the great successes with our robotics and haptics research and as we look into sustainable solutions to India’s challenges using robotics, AMMACHI Labs designed a highly sought after Master’s in Technology in Robotics & Automation at Amrita University. Learn more. 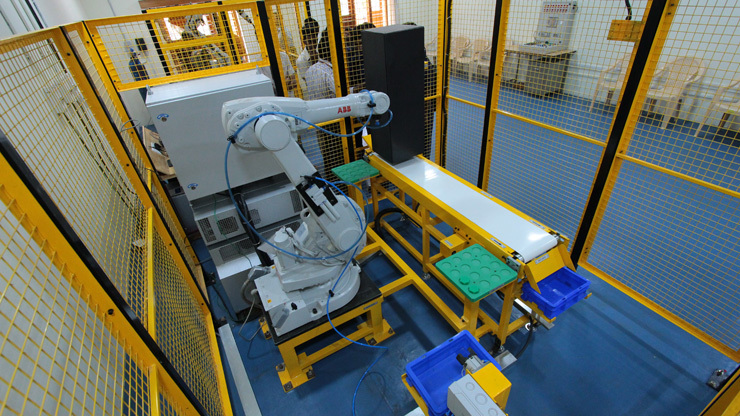 The Amrita ABB Robotics Lab is India’s first ROS-industrial lab. 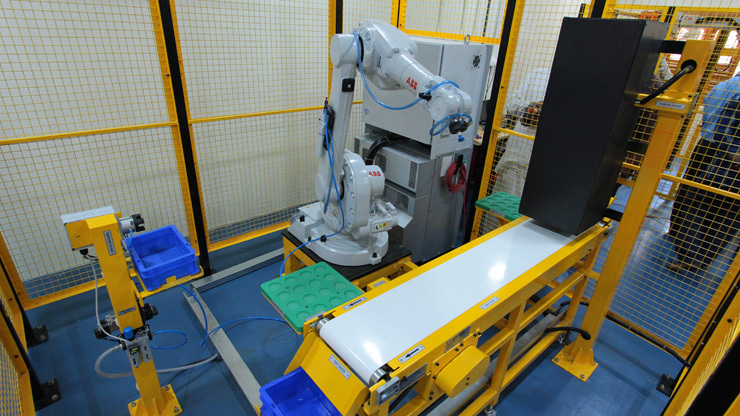 ABB Group, a leading multinational robotics and automation technology firm has collaborated with Amrita to the secure two ROS enabled industrial robots. These robots provide students hands on learning opportunities. The labs include pneumatic and hydraulic kits, a PLC with a simulator unit and micro controller training kits.